This is wood that we have sourced locally from dead and down trees and milled at our sawmill in Bullville, NY. Unless noted, all material has 2 very clean natural edges, is hand-debarked at time of milling and was air dried for at least 2 years before being kiln dried. Note that sapwood has not been heavily steamed and wood tones are bright. Most slabs under 24” wide have been ‘hit-or-miss’ planed on both faces. 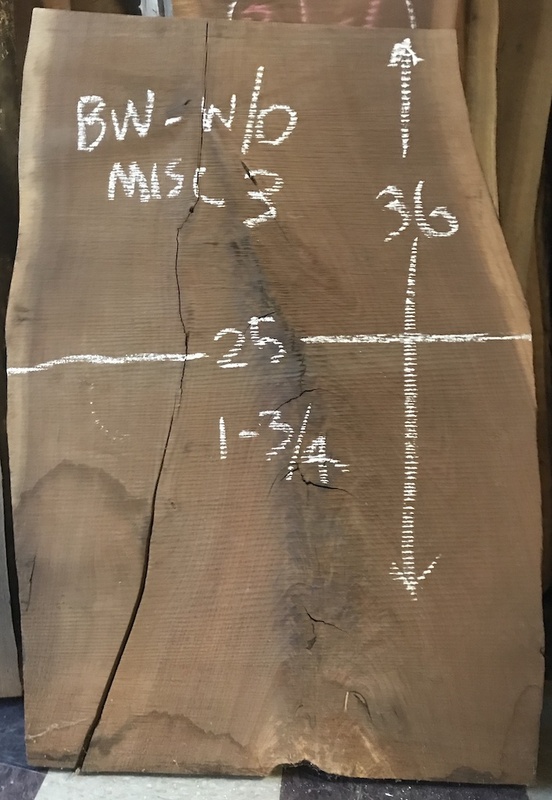 All slab widths are taken edge-to-edge on narrower face and then averaged over the length of the board. Available by appointment for pickup in Beacon, NY, 12508. Milled in 2008 on the weekend that Barack Obama was inaugurated. Tree sourced near Accord, NY. Milled in 2013. Tree sourced in Salt Point, NY. Milled in 2013. Tree sourced in Salt Point, NY. Great character log. Milled in 2011. Tree sourced next to Laby’s Pizza in Beacon, NY. INCOMPLETE LISTING — stay tuned! There are 7 slabs in this flitch, all 1-5/8” thick. There is some bark on edges. Milled in 2013. Tree sourced on Miller Hill, Stormville, NY. Milled in 2012. Tree sourced on Miller Hill, Stormville, NY. Milled in . Tree sourced on Miller Hill, Stormville, NY. Milled in 2012 Tree sourced on Miller Hill, Stormville, NY. Milled in 2011 Tree sourced on a nunnery property in Lancaster PA.